May there be abundant peace from heaven, and life, for us and for all Israel; Amen. Adath Israel works hard to create an exciting, educational and spiritual Jewish experience for Adults and children of all ages during the High Holidays. 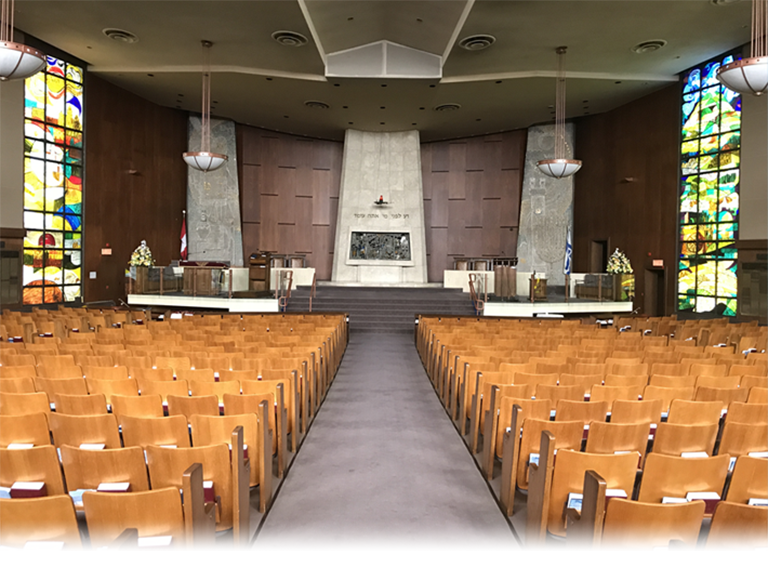 We allow children of all ages to attend the services that are most meaningful and appropriate to them, this includes the Sanctuary and The Alex Tobias Hall. Decorum is of utmost importance, so when your family decides which service to attend, you should keep in mind the spirit of the service. If the adult or family services are not the best fit, the youth program offers a great service destination for children. Main Sanctuary. The service in the Main Sanctuary is an elegant traditional service with full Torah reading. The Sanctuary fills to capacity so if you want to sit together with family or friends it is important to arrive early. The Senior Rabbi presides at the pulpit for all services, except for the second day of Rosh Hashana and Cantor Alex Stein is joined by the Kol Rina Choir, an all men’s choir from Israel. Tobias Hall. Like the Main Sanctuary this is a traditional service, but more participatory. Our Rabbis alternate presiding in the Main Sanctuary and Tobias Hall. The congregation can sing along with the traditional melodies. The service is lead by Cantor Lipa Glantz from Israel. Adath Israel provides three services geared toward the whole family. Young Family Service. This is a highly interactive service with songs, games and it is stroller friendly. This service is a wonderful holiday experience for families, including Bubbies and Zaidies and it is ideally suited to babies, toddlers and children who benefit from movement and a relaxed atmosphere. The service is restricted to about 90 minutes and starts later in the morning. There are educational activities, prayers, songs, stories, costumes and creative movement/dance activities suitable for children with short attention spans. The room is noisy, active and colourful. Family Learners Service. This is an interactive abbreviated learning service which provides a unique opportunity for those with longer attention spans to learn more about the High Holiday Day Service. The service generally lasts about 2 hours. This interactive service features songs, stories, questions and discussion geared towards parents and their children. 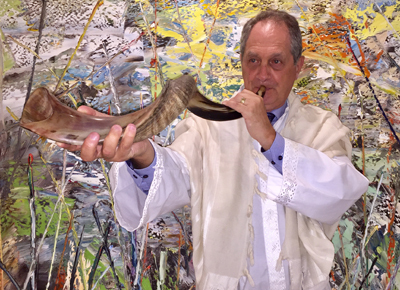 The service also highlights the liturgy of the machzor, a full Torah reading, a sermonette and the blowing of the Shofar. While the service is open to families of all ages, it is designed to give children a taste of a more formal service. Click HERE for a moving video of the Kol Rina Choir in rehearsal!